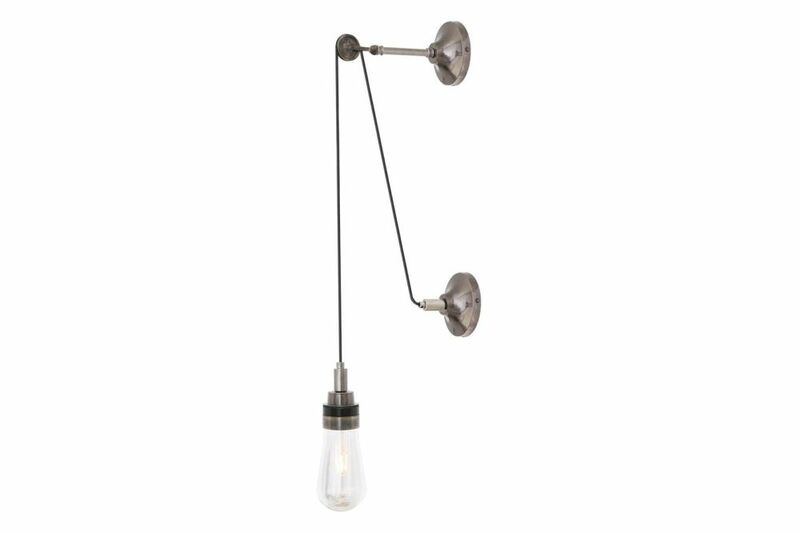 The Dylan Pulley Wall Light is an industrial wall light suspended from a pulley arm above. It can be safely installed in most bathroom locations as well as industrial style restaurants where moisture-resistance is beneficial. The Dylan Wall Light features a teardrop-shaped glass lamp shade that encloses an LED tube light inside a waterproof surround. This glass shade mimics the appearance of an Edison-style bulb. The placement of the pulley arm can be adjusted up or down to alter the drop of the pendant. Note: Due to product design, this light fitting requires the bulb to be with maximum diameter of 38mm and length of 140mm.